The club was originally formed in 1904 and progressed through several sites until the move to Mangatainoka in 1968. The old farmhouse was converted into the clubhouse and in 1974 the upstairs lounge was built. 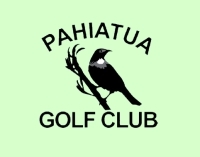 The Pahiatua Golf Club warmly welcomes new members. Our financial year commences 1st March - below are the options available for membership.